Climate change affects every sector and type of organization. However, the science and impacts are uncertain and there are many different views of risk. This panel will address these risks through a series of interviews with decision-makers, asking them challenging questions such as: What do industry leaders perceive to be the risks presented by climate change and how do they act on those risks? What kind of information do they gather to make necessary decisions? How do or should they balance the risks of the poor or vulnerable against other risks? As Senior Director for Climate Change, John not only leads a team of specialists but works across the institution to advance the Bank Group’s climate change agenda. Prior to this assignment he was Operations and Strategy Director for Global Practices and Cross Cutting Solutions at the Bank Group. He previously served as Director for Sustainable Development in the Bank’s East Asia Region, responsible for working with 22 client countries in the region in the water, urban, transport, energy, rural, agriculture, environment, and social sectors, as well as in disaster risk management and climate change. John has also worked as Operations and Strategy Director in the Bank’s South Asia region and as Operational Quality Director in the Bank’s Africa region for about five years. 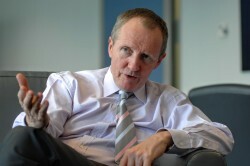 He joined the Bank Group in 1989, working initially in Africa. There he focused mainly on infrastructure issues including roads programs, the aviation and water sectors and doing deals for the Bank Group’s private sector arm, IFC, in the banking, mining and agro-industry sectors. Before joining the Bank Group, John worked in Europe for Monitor Company, a leading corporate strategy consulting firm, and at Old Mutual, a South African Life Assurance Company. He was educated at Oxford University, where he obtained Masters Degrees in Econometrics and in Management Studies, and the University of Cape Town where he obtained a Bachelors degree in Economics, Statistics and Actuarial Science. 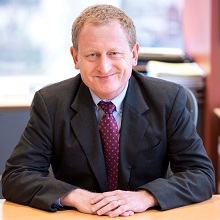 Stephen is currently Senior Adviser in the Directorate of Earth Observation Programs, ESA, with responsibility for future EO strategy and, particularly, relations to external bodies. He is also, since 2014, Chairman of the Steering Committee of the Global Climate Observing System (GCOS), the body responsible worldwide for managing observations of climate and climate risk. He has been involved in the development of the Group on Earth Observations (GEO) since its inception in 2003 and currently sits on its Executive Committee. He is currently Chair of the Global Forest Observations Initiative of GEO, providing data and technologies in support of REDD+ to developing countries. He is also Chair of the Strategic Implementation Team of the Committee on Earth Observation Satellites (CEOS), and is ad hominem Senior Adviser to the Chinese Vice-Minister for Science and Technology. 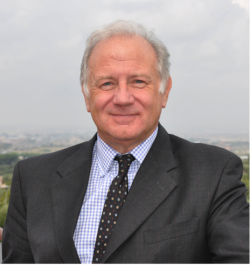 He also serves on the Advisory Board of the Global Terrestrial Network – Glaciers and was the founding Chair of the International Charter – Space and Major Disasters. Stephen was responsible for developing ESA’s 25-year Strategy for Earth Observation, delivered to its Member States in 2015. In previous ESA positions, he was responsible for Earth Observation Science, Applications, and Future Technology programs and for the preparation of future proposals for consideration by Ministers of Member States. He has published over a hundred articles and book chapters on a wide range of subjects related to Earth observation and is much sought after as a keynote speaker at international events. His current research interests are mainly in the assessment of climate risks and improved planetary indicators to inform policy. He is a Visiting Professor in the Department of Meteorology, University of Reading, and an elected Fellow of University College London. Esther Baur is a Senior Client Manager for the EMEA region in Swiss Re’s Global Partnership team. The group focuses on building and deepening relationships with the public sector, governments, and NGOs to develop innovative insurance solutions which help society create effective responses to major risks, such as natural catastrophes, agriculture production, infrastructure financing and longevity risk. From 2007 to 2011, she was a director in Communications, leading the Issue Management & Messages team responsible for steering the corporate position and creating communication strategies on key global topics, such as natural disasters, climate change, and food security, advising business leaders on stakeholder relations and global platforms, and producing numerous publications. Prior to that, she led the Issue Management team at the Swiss Re Centre for Global Dialogue and organized various stakeholder conferences. From 2001 to 2005, she was a Senior Strategy Manager in the Group’s Strategy Development department. 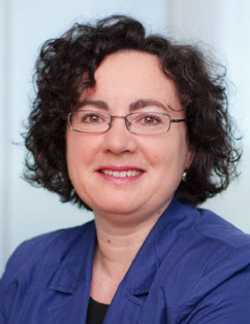 Esther Baur joined Swiss Re’s Economic Research & Consulting department in 1992, where she held various positions in Zurich, New York, and Latin America. Esther holds a degree in Economics from University of St. Gallen, Switzerland, and is a Chartered Financial Analyst (CFA). The Swiss Re Group is a leading wholesale provider of reinsurance, insurance, and other insurance-based forms of risk transfer. Swiss Re deploys its capital strength, expertise and innovation power to enable the risk taking upon which enterprise and progress in society depend. Before joining the IFRC, Dr. Mahmood was the Chief of the World Humanitarian Summit secretariat at the United Nations in New York. She is well known as the founder of MERCY Malaysia, which she led from 1999-2009. 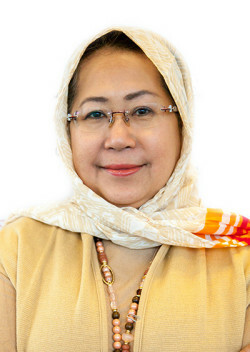 Her previous appointments include Chief of the Humanitarian Response Branch at UNFPA; Senior Fellow at Khazanah Nasional Berhad in Malaysia’s Sovereign Wealth Fund, Khazanah Research and Investment Strategy Division, and Senior Visiting Research Fellow at the Humanitarian Futures Program at Kings College in London. In 2006, she was one of 16 members appointed by United Nations Secretary-General Ban Ki-moon to the Advisory Group of the Central Emergency Response Fund. Dr. Mahmood is an Obstetrician and Gynecologists and is a Fellow of the Royal College of Obstetricians and Gynecologists United Kingdom. Claus Haugaard Sørensen is Senior Adviser on Resilience, Humanitarian Aid, and Crisis response reporting directly to the Commission President Juncker as well as to Commissioners Stylianides (Humanitarian Aid and Crisis Management) and Mimica (International Cooperation and Development). Mr. Sørensen is a career diplomat in the Ministry of Foreign Affairs of Denmark. His first posting from1981 was in Paris, at the Danish Delegation to the OECD. Between 1988 and 1989, he was trade and finance councilor at the Danish Permanent Representation in Brussels. The following year, he joined the Cabinet of vice-president Henning Christophersen, working on the EURO, relations with Eastern Europe, the Enlargement with Sweden, Austria and Finland as well as the European Social dimension and Environmental issues. As Sweden acceded to the EU in 1995, he became a member of their first Cabinet dealing notably with the fight against transnational organized crime, social and labor market issues and the further enlargement of the EU to the East. Between 1999 and 2015, Mr. Sørensen had management positions within the European Commission, most notably Director for International Environmental issues, Head of Cabinet for the Commissioner for Agriculture and later Head of Cabinet for the Commissioner for Development and Humanitarian assistance. He then became Director-General for Communication and the last 5 years Director-General for ECHO – the humanitarian arm of the European Commission. Mr. Sørensen has a Master of Economic Science and is regularly lecturing at the University of Lund, York and Copenhagen. He is married and the father of two children.